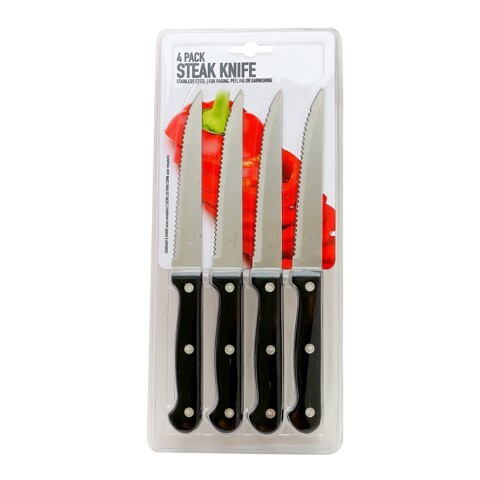 Steak Knives 4Pk. 21.5cm l 0.9mm Blade Thickness. Black Handle. Stainless Steel | Bakelite. 146G Packaging: Clamshell.